Last modified on October 26th, 2017 by Vincy. A persistent shopping cart application will be used to preserve the user’s cart item until the user processes checkout or clears the cart over different sessions and also via multiple devices. In a previous tutorial, we have created a session-based shopping cart by storing cart info in user session using PHP SESSION array. Soring cart items in the session will be cleared at the time of logout or closing the window once the user closes his session. In this example, I stored the added cart item in a database table to provide persistence shopping cart. This example contains a database table to store cart information. When the user clicks the ‘Add to Cart’ button, the selected product id, quantity and the logged in member id is stored in the cart table. The member id is pre-defined at the start of the program where you can integrate your authentication module to get the logged in member id. 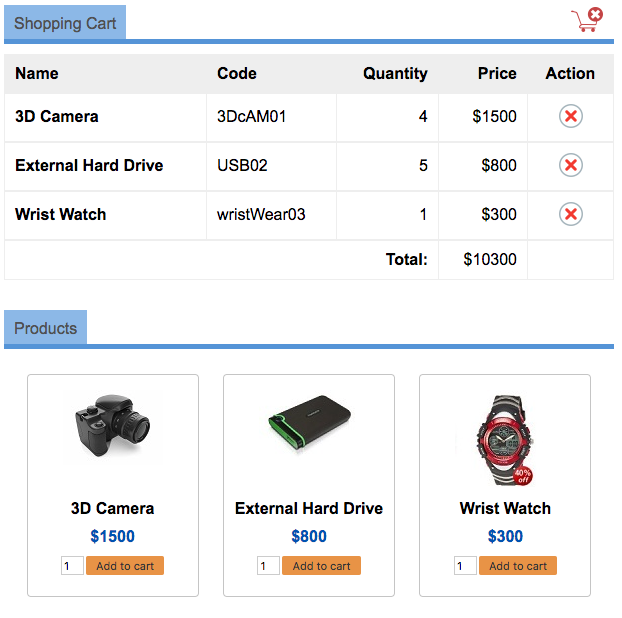 This shopping cart example contains the functionalities to add items to the cart, remove a single item from the cart and empty the cart table. This HTML code is used to list the product in a gallery view. It shows the persistent cart items read from the database table until the user clears the cart. In the product gallery, each product tile has an Add to Cart button to insert cart item to the database table. The cart list contains options to remove individual or whole cart items. This PHP code contains a switch case to handle the Add, Remove and Empty cart actions. The ShoppingCart class contains PHP functions to perform these cart actions. 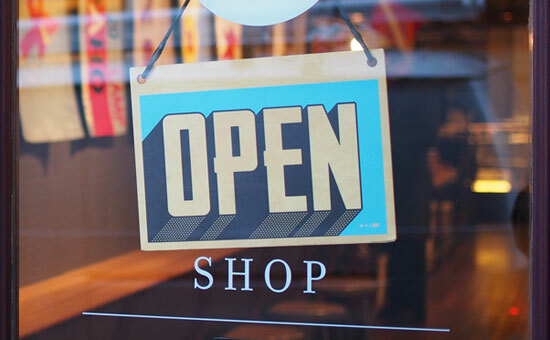 In this functions, I prepare query statements and the query parameters array which will be bind together to make the requested change for the shopping cart. The following screenshot shows the output of the persistent shopping cart example program.